According to Verizon’s Equipment Guide, they are planning to introduce follow-ups to two of their late-2011, early-2012 devices. The Samsung Stratosphere, aka the first 4G LTE slider, will get a refresh and be released as the Stratosphere 2 (SCH-I415). 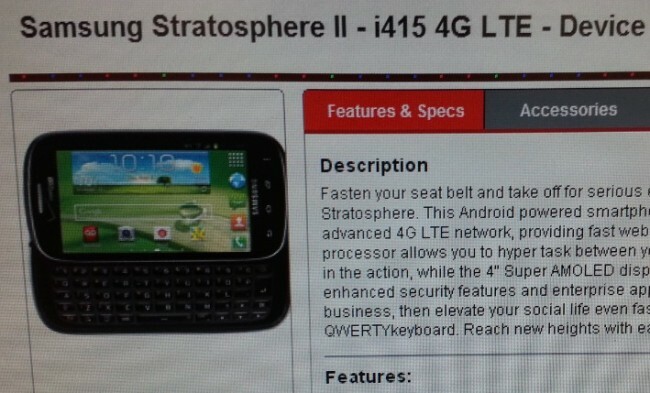 We aren’t seeing much for specs that would impress, but are assuming it’ll sport a Snapdragon S4. What 4G LTE phone doesn’t these days, right? Otherwise, we know it’ll have a 4″ Super AMOLED display, and carry the exact same form factor as its predecessor. 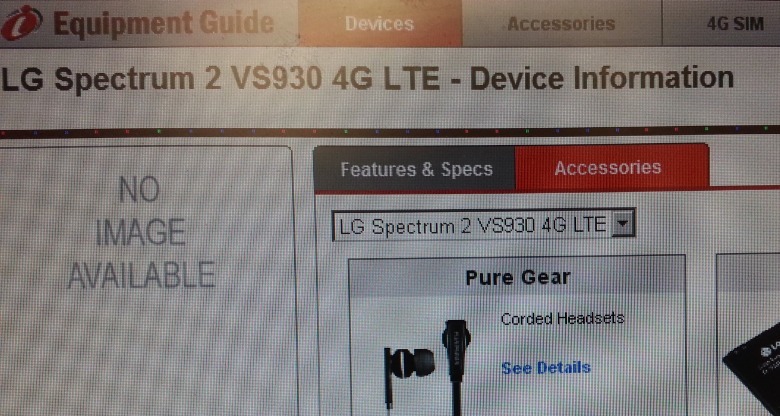 The LG Spectrum is the other device that apparently still has a refresh in the works, known as the Spectrum 2 (VS930). As with the Stratosphere 2, we know almost nothing other than the model number from this Equipment Guide shot. Thankfully, we have been tracking this phone on benchmark sites and in other leaks for months now and are pretty sure that this will be similar to the LG Optimus LTE2. It should sport a 1.5GHz dual-core Snapdragon S4 processor, 1GB of RAM, an HD display, and an 8MP camera. It should be a solid offering. It’s starting to appear as if Verizon is 100% invested in the Snapdragon S4 processor as it is efficient enough to do wonders with LTE radios and battery life. All of last year’s phone running anything less are getting phased out. We know that Motorola has two devices on the way to replace the original RAZR and MAXX, both that run the S4, along with the LG Intuition. And as you all know already, the Galaxy S3 runs the S4.